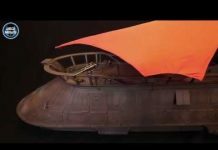 Is this the eBay link you are looking for? 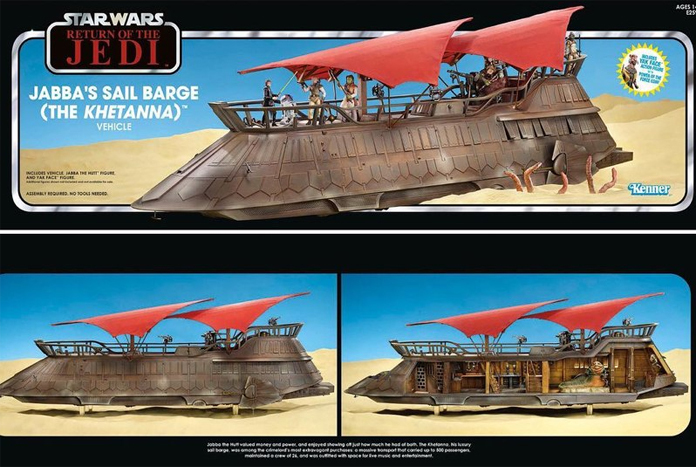 Thanks to all those that got in touch overnight about this Hasbro-Pulse link on eBay for Jabba’s Sail Barge (The Khetanna). The link isn’t live till the end of the month and Hasbro did state at New York Toy Fair that they’d share the URL one week ahead of sale on Hasbro Pulse. If this is the correct link, and it does look that way, we should get official confirmation from Hasbro this week. When the link goes live it will only ship to countries outside of North America via eBay’s Global Shipping Programme. 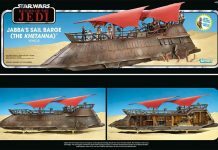 Quantities will be limited, at New York Toy Fair we asked about the total quantity produced and were advised it was just short of 10,000. That means there’s around 1,000 available for the rest-of-the-world (8,810 were made for the HasLab campaign, take that away from 10,000 and you get 1,190). Have a look at our price analysis for the Barge in the UK. In the meantime, bookmark the eBay page and we will share more information with you as soon as we can.